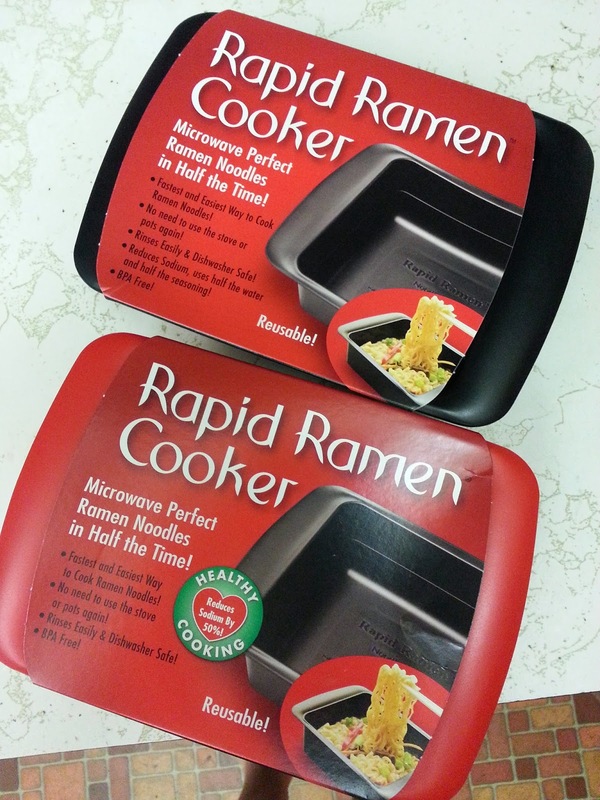 I am really excited to tell you about one of the items we received for review it is called the Rapid Ramen cooker and I have to tell you this is a lifesaver. 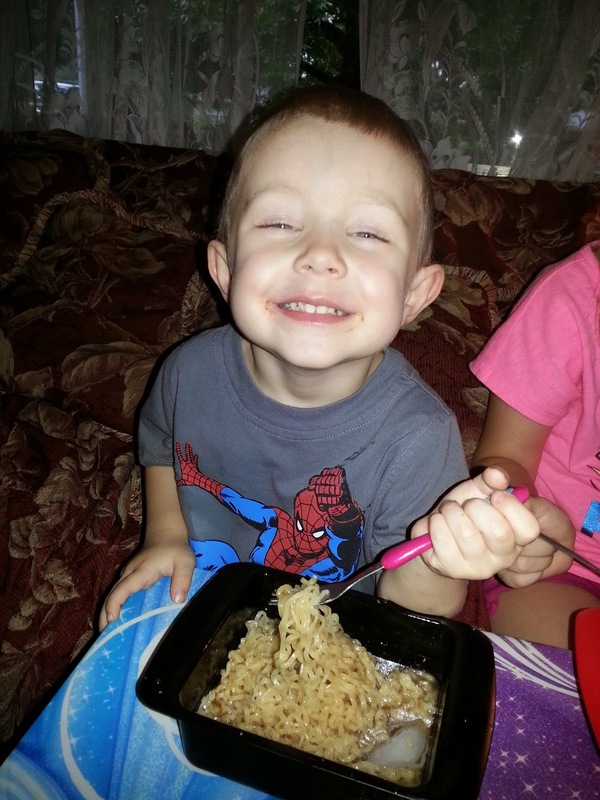 My children and husband are noodle eaters so with these cookers we can cook these noodles fast. 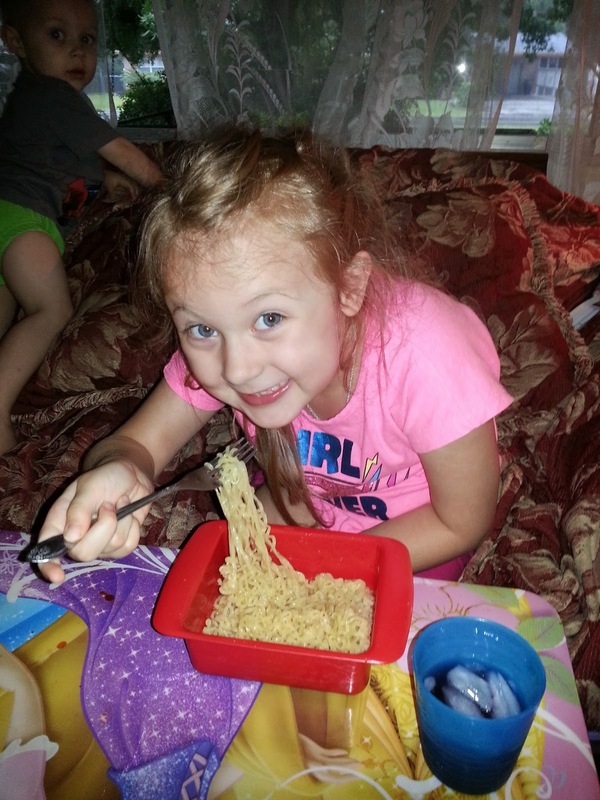 With my daughter i put the noodles in a bpa tupperware container and heat them for 2 min. But, my husband doesn't like this he says they don't taste the same. So when we got these cookers I was like you have to try them to my husband. So when he tried them he said they taste exactly like they do when you cook them on the stove I was so happy. Cooks perfect Ramen Noodles in the microwave in 4 minutes! Never mess with boiling water or pots again! Heat and eat right out of the reusable, BPA-free bowl. 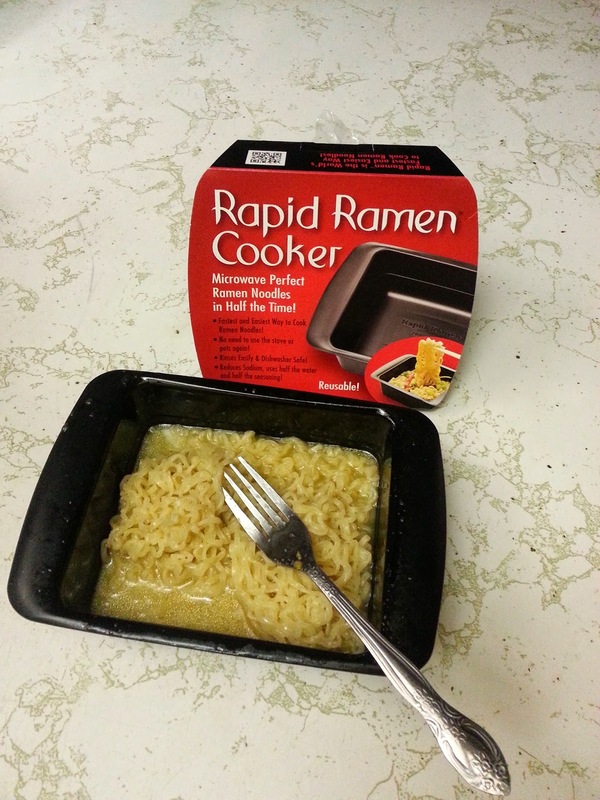 We love our rapid ramen cooker and will keep using it for years to come. My kid's love it. If I'm really broke, sometimes I save the flavor packet to make pizza on a bagel with. I also have put spaghetti sauce on my Ramen to change it up a bit- I eat this stuff like 3 times a week lol. I really just microwave and go. My friend makes a great salad with them. I always make them stovetop and I just taught my 12 year old son how to do it! I actually add ice cubes to cool it down and dip toast in the broth. I cook mine in a pot on the stove, and drain the water at the end of cooking and add an egg. It's very good that way. Yummy that sounds good a boiled egg or scrambled?? Hello! I just microwave it and eat. I've never even thought of adding something to it. Adding cheese sounds delicious! Thank-you!! I cook Ramen Noodles on the stove almost as according to package. I add a few extra minutes to the boiling time, but don't actually add anything in besides the seasoning packet. I like to add a soy sauce packet leftover from take out orders. Or I will add some olive oil to the water when it's boiling. my husband eats them straight out of the bag, after he sprinkles it with the seasoning.....like popcorn. I cook my Ramen Noodles with plenty of butter and parmesan cheese. Yumo! Thank-you for a great giveaway! I put butter in mine. and sometimes Cajun seasoning. I cook mine in the microwave or on the stove with less water so it is more just noodles and not soupy. My husband teases me all the time for doing this! This is perfect for college!!! We have a whole cookbook about Ramen. Our fave is the French Onion Soup with Ramen. Sooooo good!